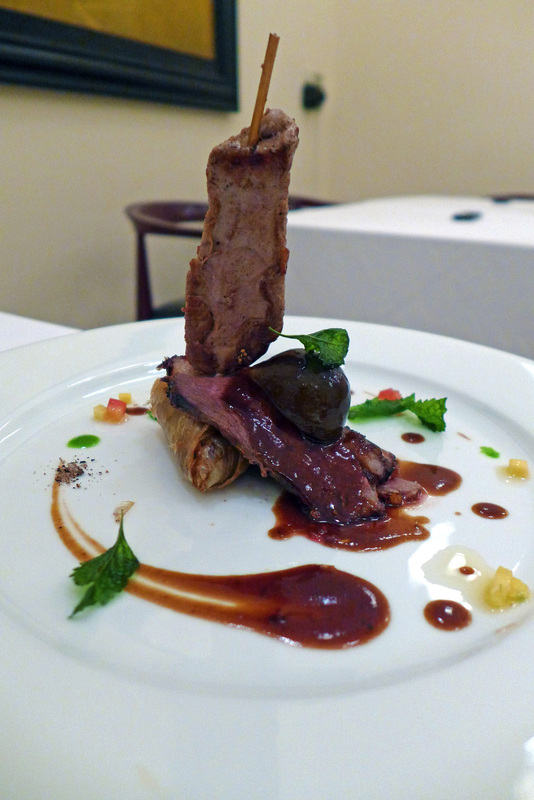 La Verticale , Hanoi – Vietnam meets France. 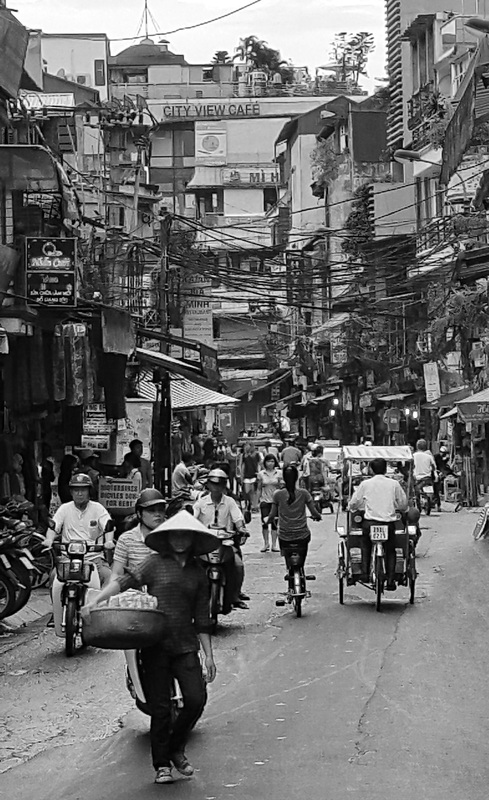 This trip to Vietnam was only a flying visit for 4 days , basically to have a little look around Hanoi , relax , eat and weigh myself down with a travel bag crammed to the max with Coffee beans. 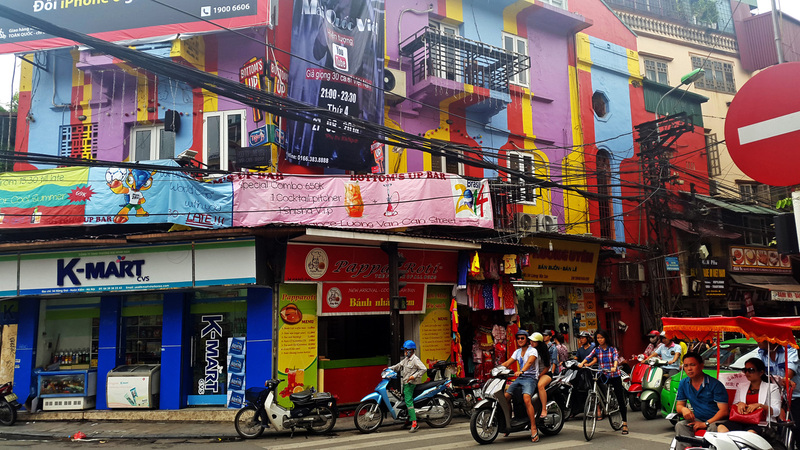 Hanoi is the city to head to for lovers of Coffee and Cafe culture and also some of the healthiest food in Asia …far too healthy for my liking. 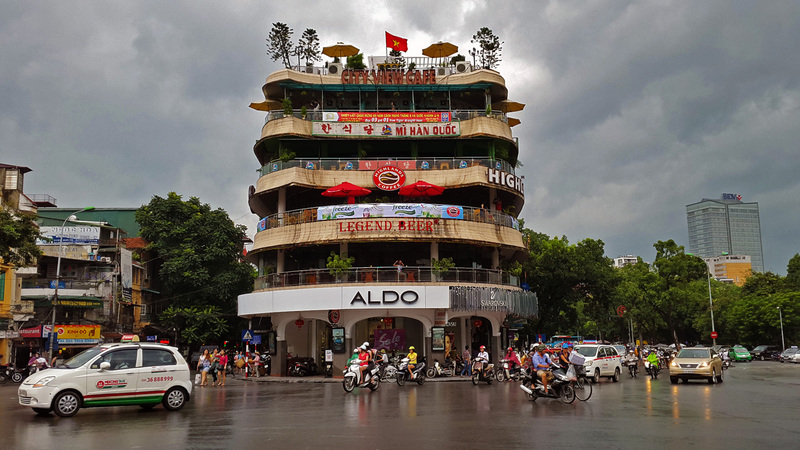 I stayed in Hoan Kiem which is the historical part of the city , the old quarter so there`s quite a bit of character there. 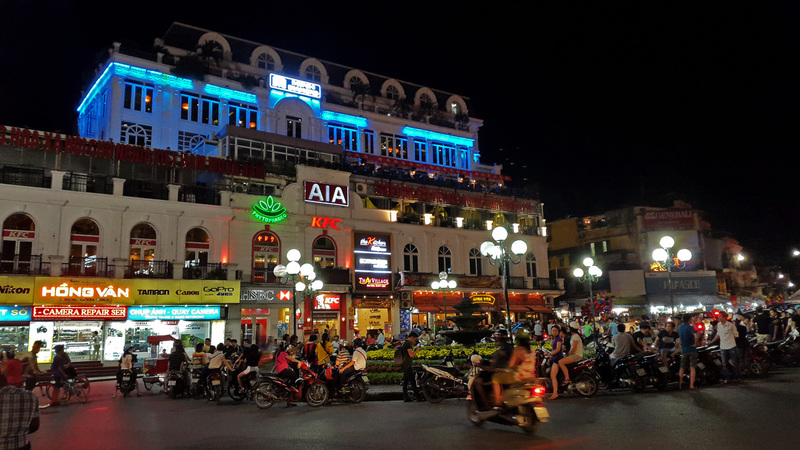 I normally try my hardest to steer well clear of backpackers during my travels but this area was teeming with them , all looking for the cheapest beds , cheapest beer and the cheapest way to feed themselves.I prefer to avoid them like the plague and stick with the locals. My hotel was called “Essence” and it came up as the number one visitors choice on tripadvisor , housed a very good restaurant and was available at a really good price. I booked in for 4 nights and i went for a “suite” that cost me £49 per night….amazing price , prime location in the heart of the city. The staff at the hotel were the friendliest in all of my years travelling. 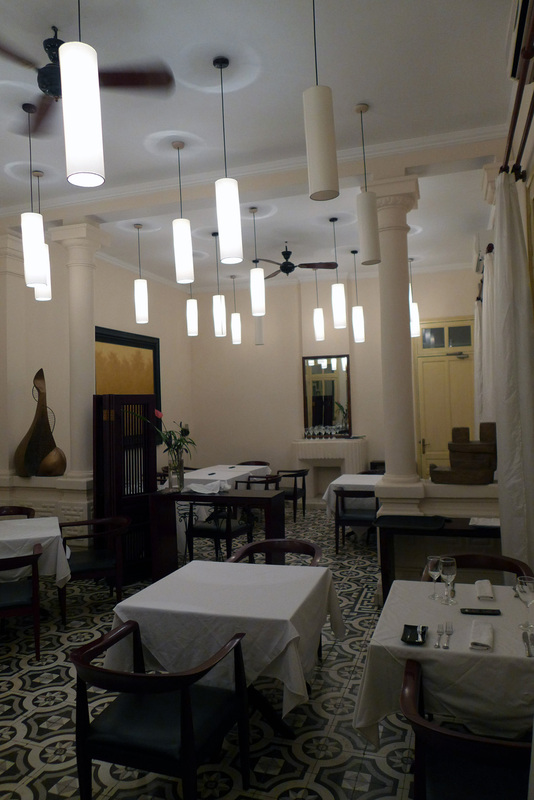 I searched around for the best place to eat in Hanoi city and a lot of the reports pointed to “La Verticale” , a French restaurant with Vietnamese influences. 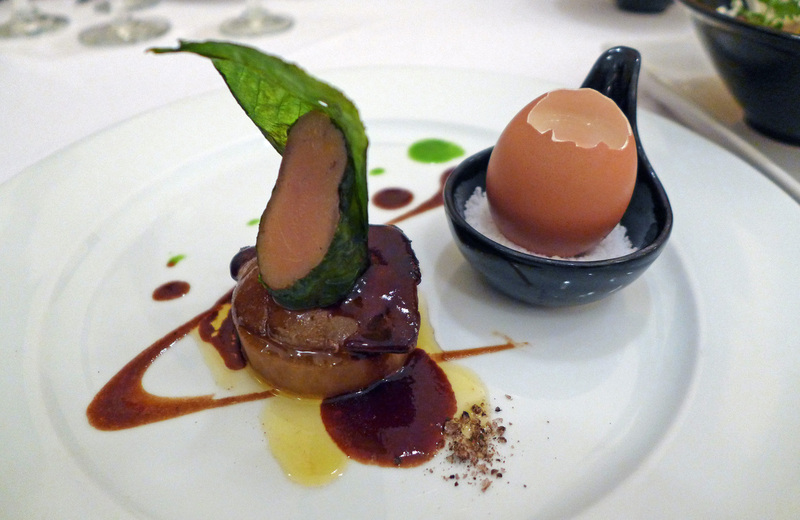 The chef here was a Frenchman called Didier Corlou and with umpteen years of cooking under his belt and a bit of a well known celeb chef in the city it made sense to book in for his tasting menu. 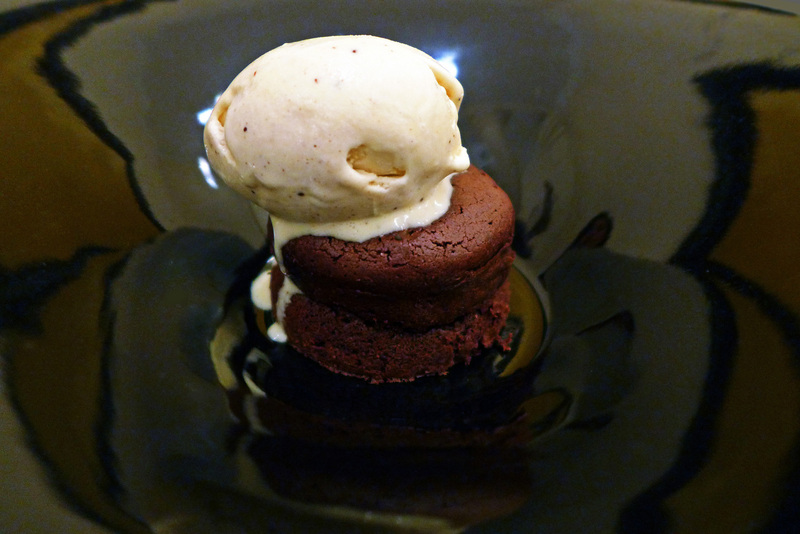 Chef Corlou has cooked for Presidents , Celebrities and Kings over the years and is currently based in Hanoi with his Asian wife. 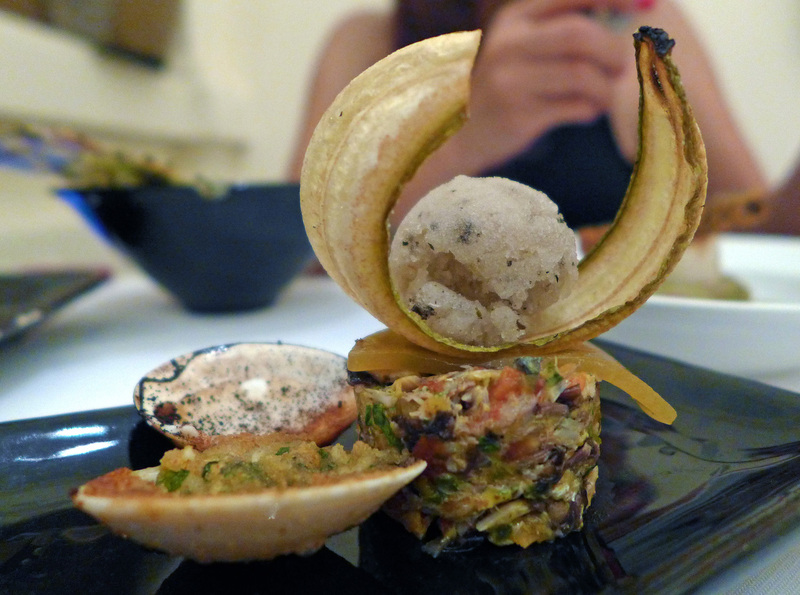 A little starter to amuse – 5 flavours of Asia. 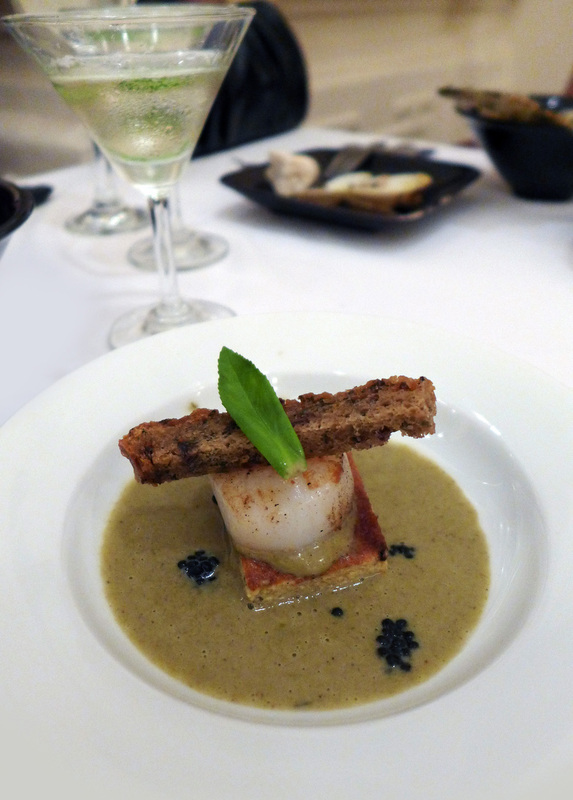 Artichoke , Clams, scallop in seaweed nectar, flying fish compote, Breton sprit . Check this one out….From the side it looks pretty normal. 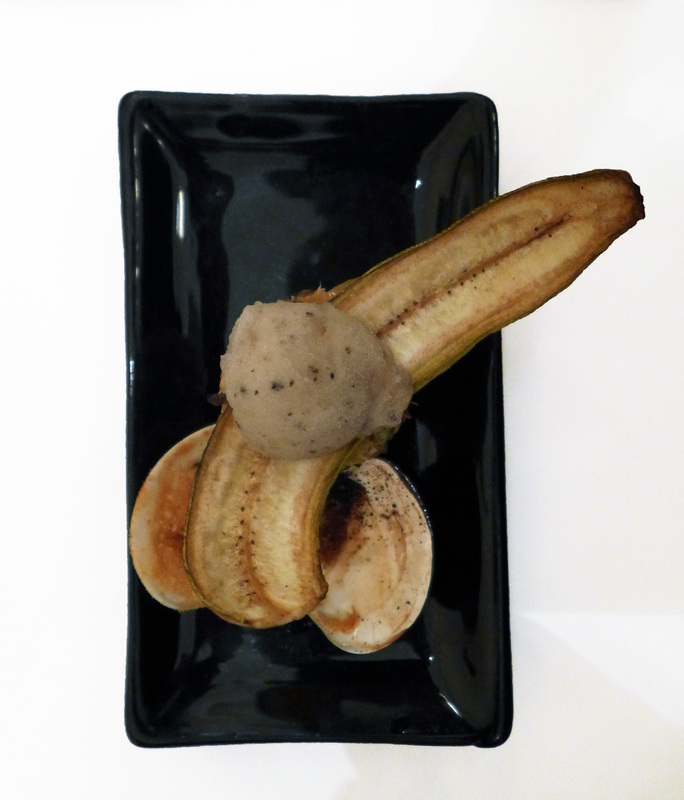 However from above it looks entirely different….Could it be my mind or was the oriental Banana playing tricks ? 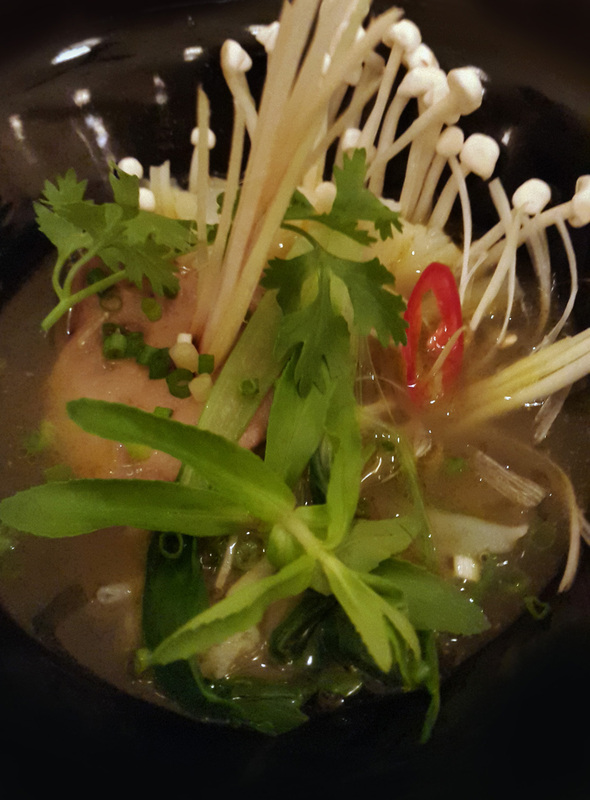 A classic of Vietnam is the “Pho” soup. 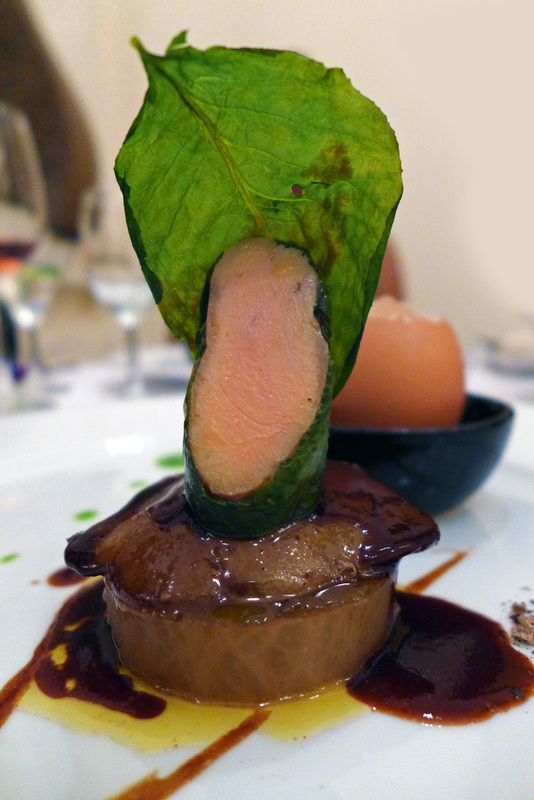 This version contained poached Foie gras. 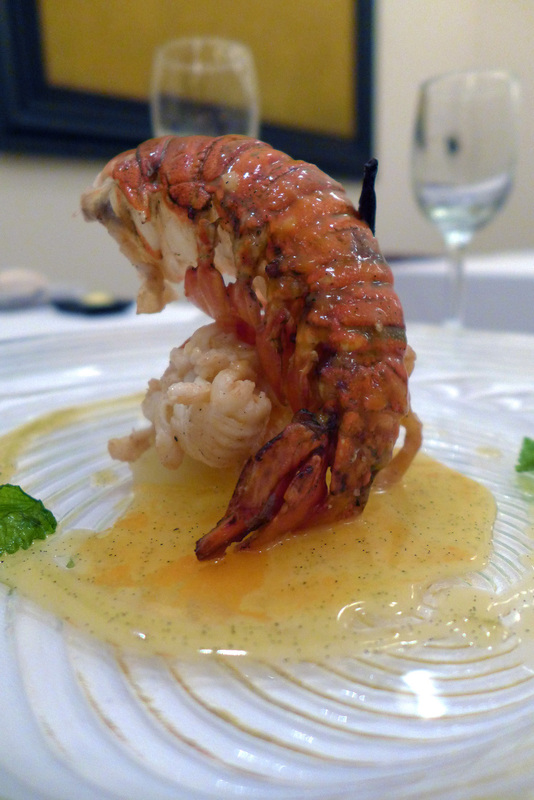 Lobster from Nha Trang rhubarb candied in orange juice, Indochina vanilla and bisque . 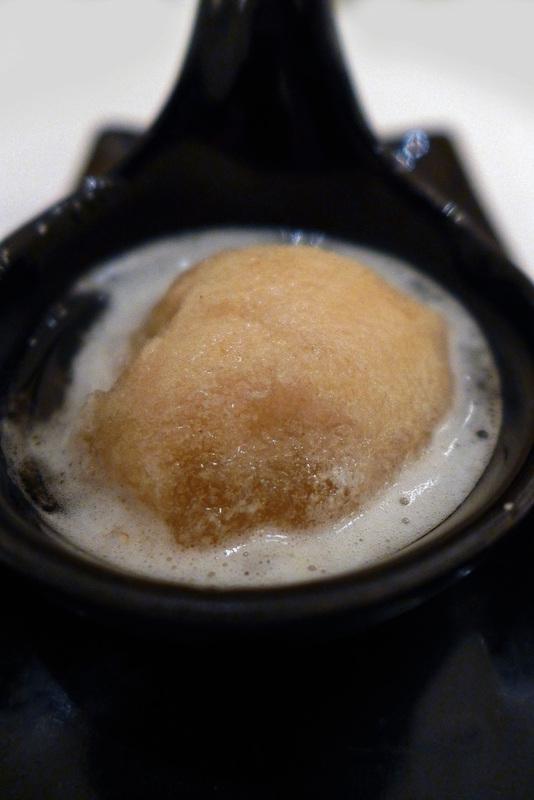 Tamarind Sorbet as a palate refresher course. 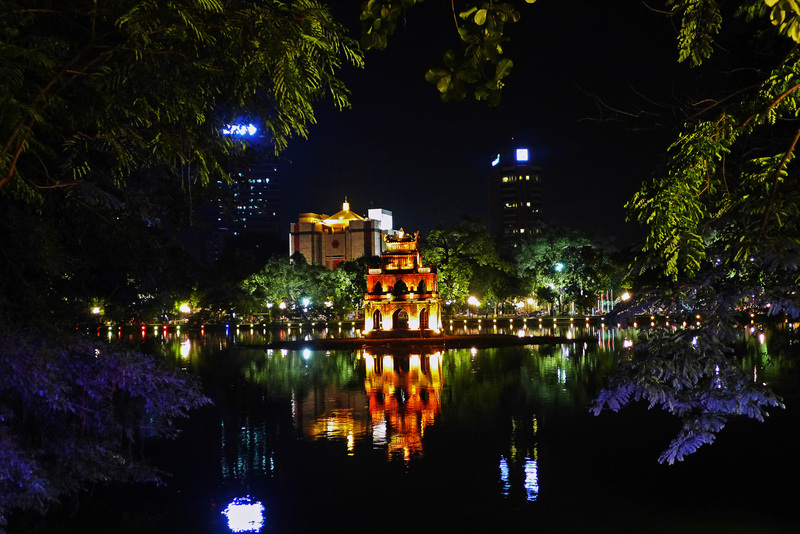 The Turtle Pagoda on Hoan Kiem lake. 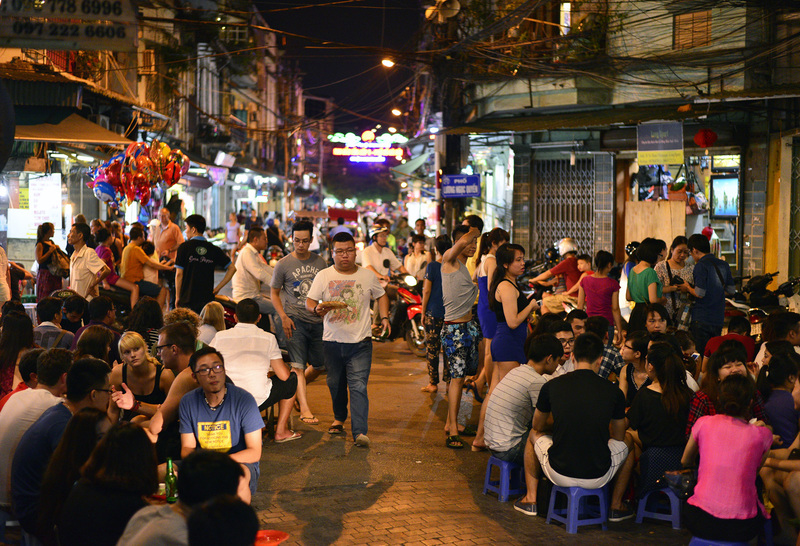 Hoan Kiem district at 6am , virtually deserted and then again at 6pm ….A backpackers heaven. 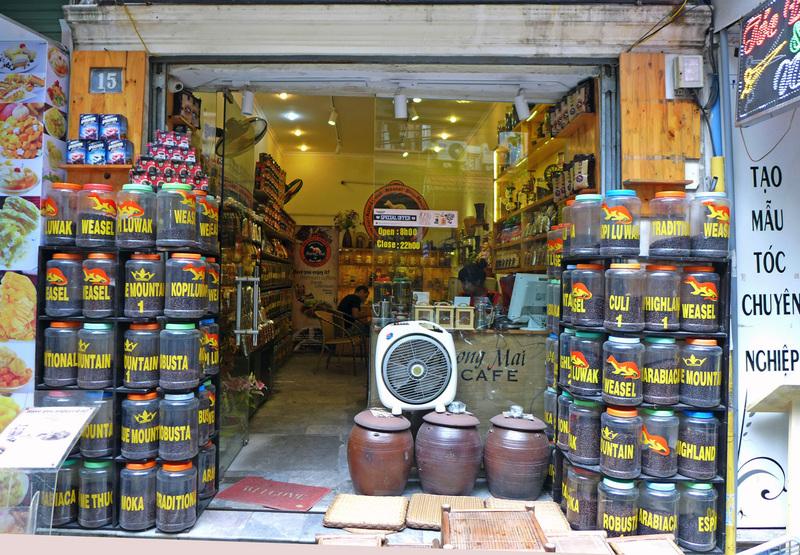 HOAN KIEM DISTRICT – HANOI OLD QUARTER. 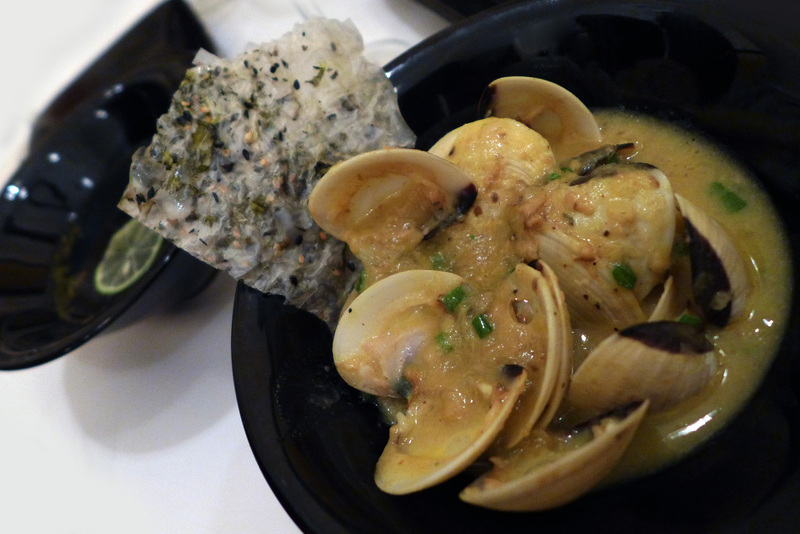 Previous Post 18 Courses at Restaurant “BoLan” – Bangkoks best Thai food experience. 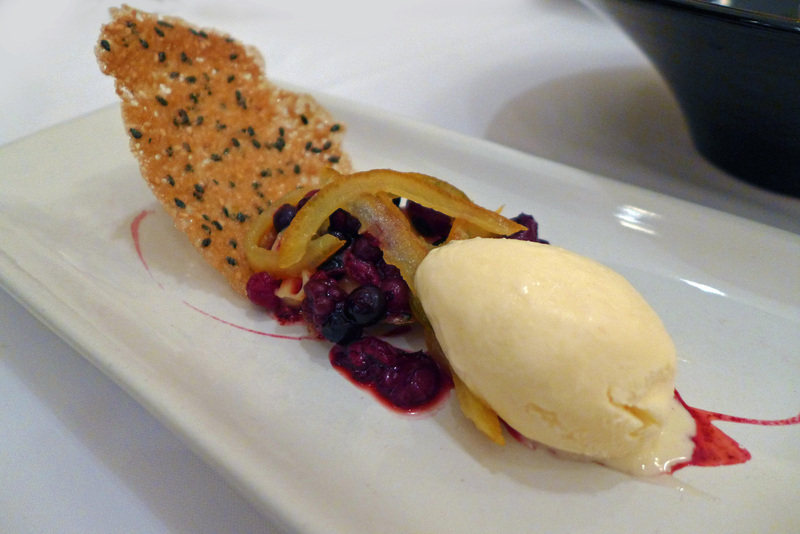 Next Post Lake Road Kitchen – Another Diamond for the Cumbrian collection. Such a shame I didn’t see this post a week ago. 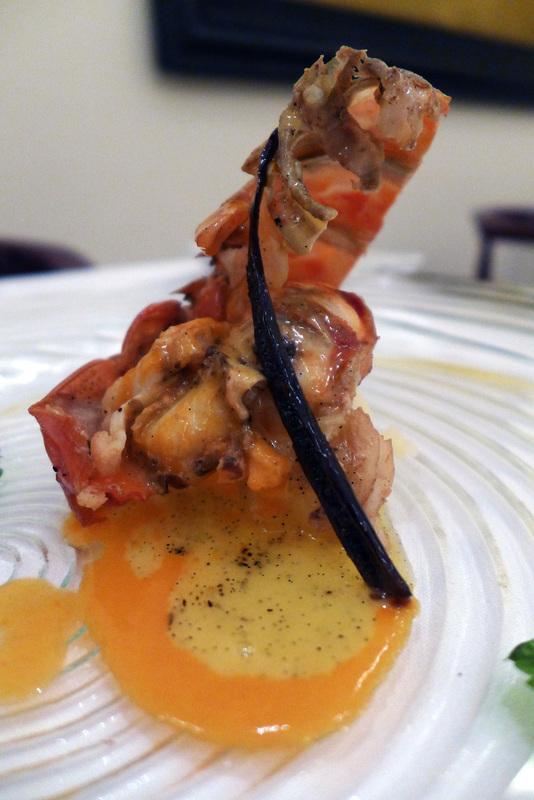 An Aussie couple we met in Halong Bay talked us into going to the Press Club for dinner, whereas we had been contemplating La Verticale. It was a disaster. 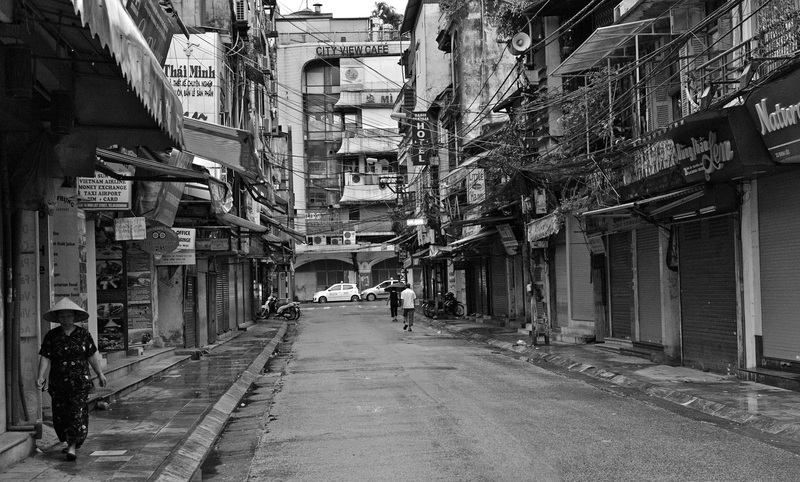 Loved Hanoi though. 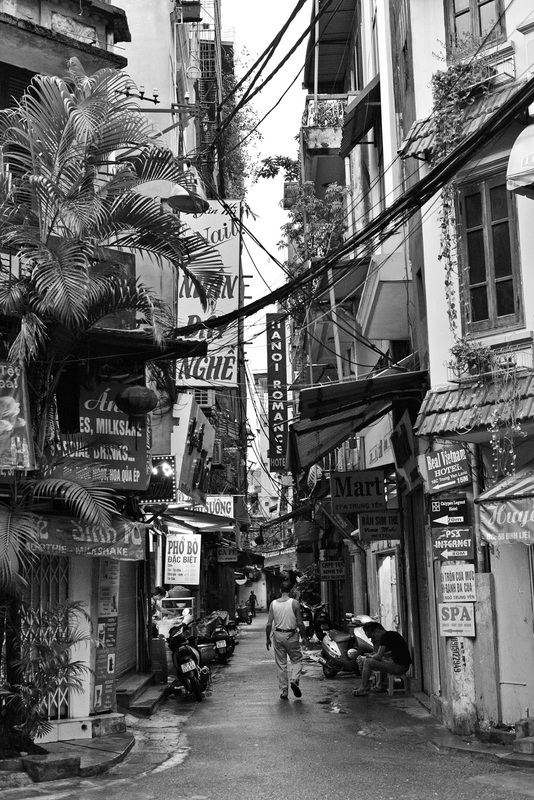 Eating on the street and the coffee/cafe culture was amazing. We stayed in the Essence too – as you say amazing value, and what a relief it was to enter the oasis of calm after experiencing the madness of the old quarter.